CSCS's primary objective is to provide evidence that individuals working on construction sites have the required training and qualifications for the type of work they carry out. Ever since the people of the UK voted to leave the European Union on June 23rd the result has sparked all kinds of rumours about how it will affect life in the UK. Brexit has been blamed for everything from the increased price of Marmite to the ruination of the UK’s ability to trade freely with certain countries. 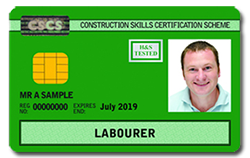 About 80% of the UK construction industries and contractors require their workers to have a valid CSCS card. Every card is specific to the trade of an individual worker and has a computer chip on it, which stores information about the worker and can be checked on the site at any time. We all know that workplace training is vital for the growth of any business, but for many businesses there simply isn’t enough space in their premises to hold a training session. When an emergency arises, having first aid knowledge can make a lot of difference and, in extreme cases, even save lives. Learning how to deal with an emergency is not difficult thanks to the availability of many First Aid Courses in Kent and all the other counties and cities of the UK. From the earliest times the need for rudimentary first aid and medical assistance has been utilised particularly in battle situations when men were required to be patched up and returned to the field. These ministrations would often consist of little more than crude bandaging. Until October 2013 First aid training organisations could opt to be approved by HSE to deliver training on First Aid at Work. Currently, HSE does not approve any training and qualifications for this purpose and these formerly approved providers can no longer claim that they are HSE approved. As an employer you are required by law to provide adequate and appropriate first aid courses, equipment, personnel and facilities to ensure your employees can be treated if they are ill or injured whilst at work. To do this you need to ensure you have individuals in your workforce who are fully trained and have attended first aid courses to ensure they can capably carry out their role. Were you ever a member of the boy scouts or girl guides? If so, you may have had some basic first aid training. In that case, you’ve probably got an idea of what First Aid is. If you’re someone whom has never needed to apply first aid or be in receipt of it, then firstly you are quite lucky, but secondly you probably know little more than what a first aid box might look like and how to stick on a plaster.